I organize all of my MP3s into nicely named folders, like "Chapter 1". Tricky, I know. Now, you should remove all the ID3 tags (the meta data inside each MP3 that has the Title, Artist, etc). I use my favorite ID3 tag editor - Media Rage. In the Data Remover tool, just set the MP3 ID3v2 and ID3v1 tag to "None", and process all of your nicely named/organized MP3s. Now go through the step explained on this page. Basically, cd into each directory, and then run that happy "cat" command. If I continue our example, I'd go with "cat * Chapter01.mp3". Avoid spaces in the file name (I don't want to go into escaping spaces). Do that with each folder you want combined. 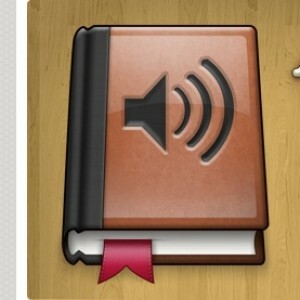 Or, you could do it a different, super simple way, and pay $6 for the great OS X application Audiobook Builder. I admit I like to have the combined MP3s in addition to the nicely formatted M4B file. So, after I go through the above steps, I throw them into Audiobook Builder, and get that iTunes/iOS-friendly file (so I can play the files at double-speed).